After announcing Physical Web support for the Android Chrome app, Google has now introduced a security encryption framework, available on GitHub, for its extensible open-source and cross-platform beacon protocol, Eddystone. Eddystone beacons will now contain a unique identifier called an Ephemeral ID or EID to identify user devices as well as larger beacon networks. These EIDs are designed to self-destruct after a given period of time. This security update promises to protect users against information leakage, while providing personalized information and services to smart device owners. The update comes as a vital step in addressing an important customer concern — that of being tracked in physical locations. It will also gives developers more control over who can access beacon signals. Read this post to learn more about how Google is also trying to make Eddystone a safe platform for two-way communication. There are about 87 million millennials forming 27.5% of the total population in the US alone. According to Accenture Research, millennials spend 600 Billion USD a year on retail in the US, a sum that is projected to grow to an estimated 1.4 Trillion USD in 2020 and represents 30% of the total retail sales. Clearly, millennial customers, with their tremendous spending power and trendsetting potential, are an enormous commercial force to reckon with. An important question then is — how do retailers target millennials. To answer this question, we bring you some of the observations about millennials and how retailers can use beacons to target millennials better. Barneys New York is focusing on offering a personalised experience to its customers by employing iBeacon technology that combines the best of physical and digital retail. The luxury fashion retailer is integrating in-store iBeacon technology with a personalization platform to deliver personalized editorial content to customers’ mobile devices and also help customer service associates provide better assistance via a clienteling app. Barneys New York wants to use the platform to share targeted content such as videos, lookbooks and designer interviews from its editorial site, ‘The Window’, with shoppers as they move about the store. 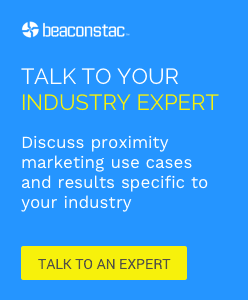 Check out this article to know more about how Barneys New York is using beacons. Nicklaus Children’s Hospital, formerly known as Miami Children’s Hospital, has deployed BLE beacons to track assets and personnel within its emergency department. The hospital is also using RFID tags to conduct daily inventory counts to ensure that crash carts are properly loaded. iBeacon technology allows them to locate wheelchairs, pumps and other equipment throughout the emergency department, when such items are needed for patient care. The hospital aims to know where individuals and items are located, in the long run. They also want to use location intelligence to boost the efficiency and safety of its patient care. Read this post to learn how beacons are assisting Nicklaus Children’s Hospital in various ways. Adelaide Zoo is deploying beacons and introducing eLockers to enhance visitor and student experience. The zoo plans to bring content straight to Bluetooth-enabled smart devices through beacons and offer visitors access to location-specific information about its animals and conservation work. Beacons will trigger messages on visitor devices, alerting them to points of interest around the zoo. The notification content will provide interesting and practical information such as species facts, the location of the closest facilities and educational tools. Visitors will be able to download an app and then access a range of experiences at different locations around the zoo through their smart devices. Check out this article to discover how Adelaide Zoo is personalising visitors’ experiences.